Landon O'Neal (left) and Payton Drake. 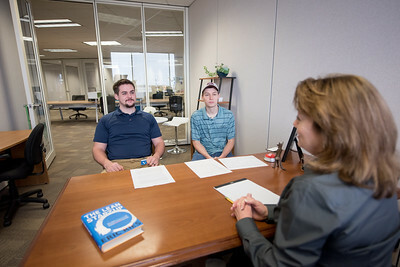 Landon O'Neal (left) Payton Drake and Barbara Agerton. 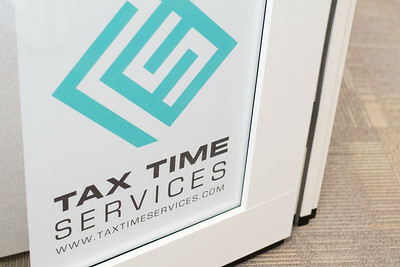 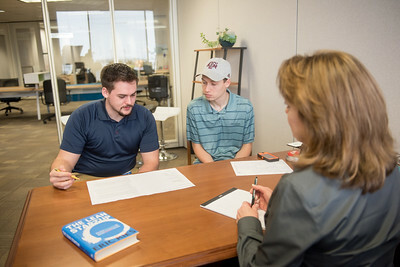 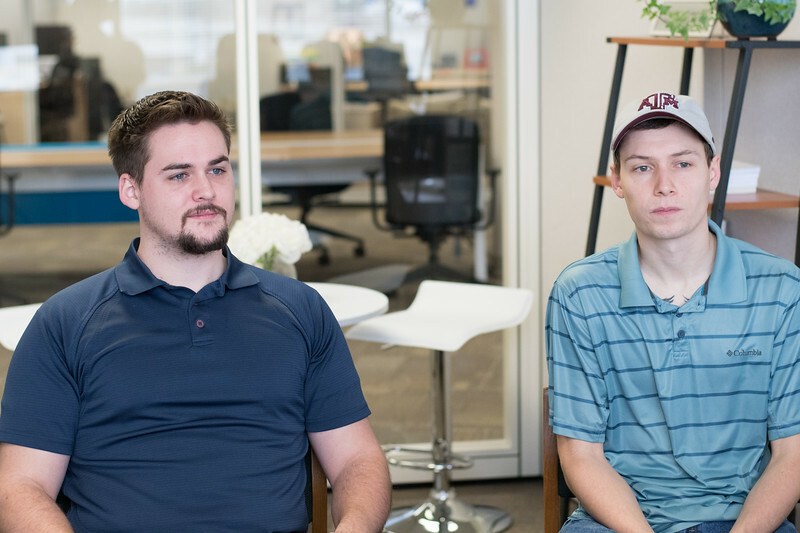 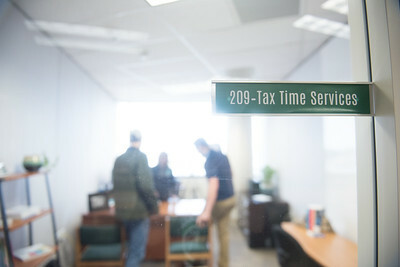 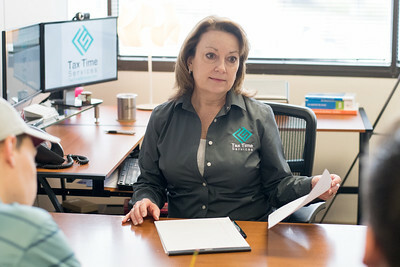 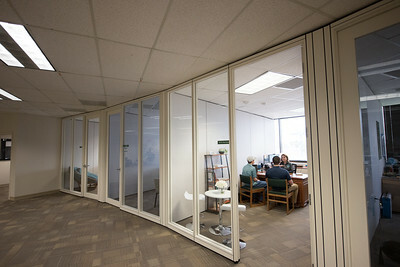 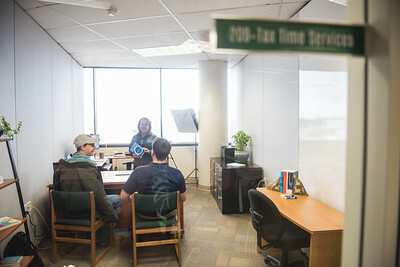 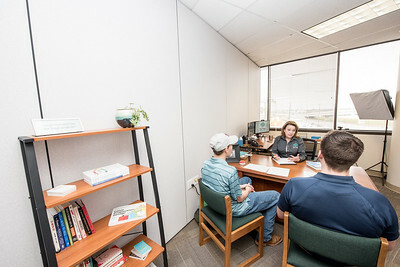 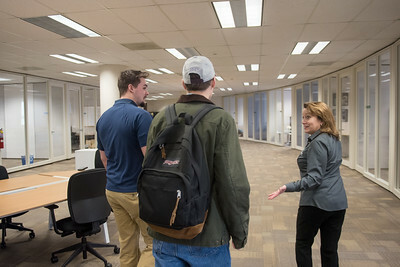 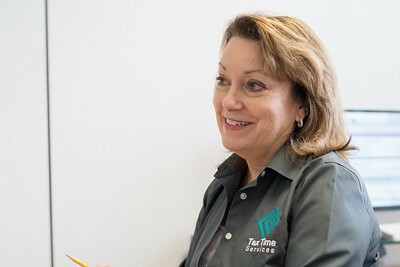 College of Business students Landon O'Neal (left) and Payton Drake review Tax Time Services business at the Coastal Bend Business Innovation Center as part of their course.